Sometimes we need a sign to check that some things happen . 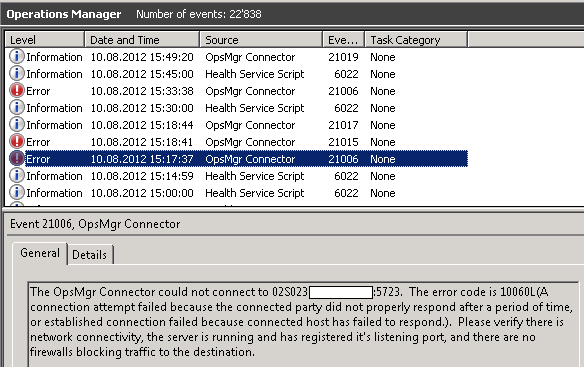 For me I wanted to visualize and verify if a SCOM agent failed over properly or not. 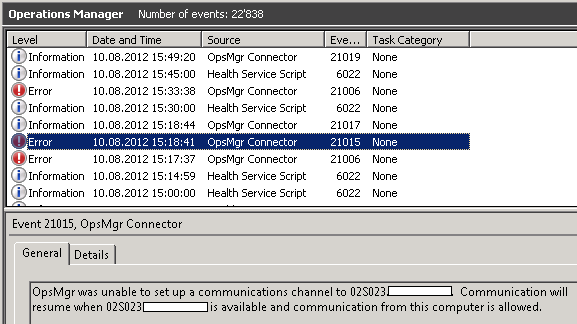 As you might know the Windows agents do not report to a SCOM 2012 resource pool. If you install an agent on a Windows server the default setting is that it will failover to any management server. You could use Powershell to configure the failover server or use AD integration to control the failover behavior. 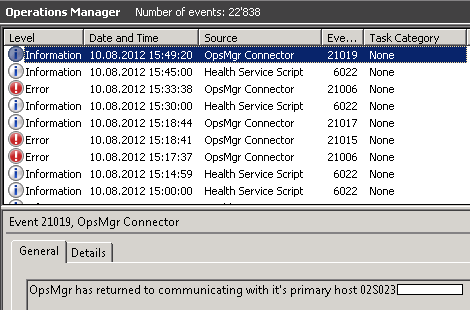 In my test setup I have two management servers 02S022 and 02S023. 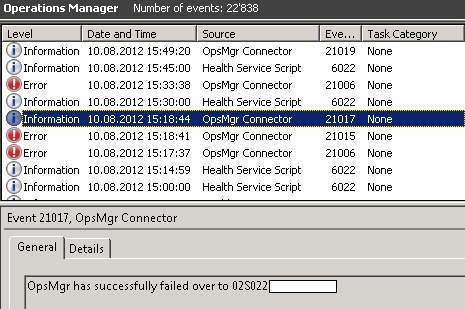 The agent is configured to report to its primary management server 02S023 and 02S022 as a failover management server. 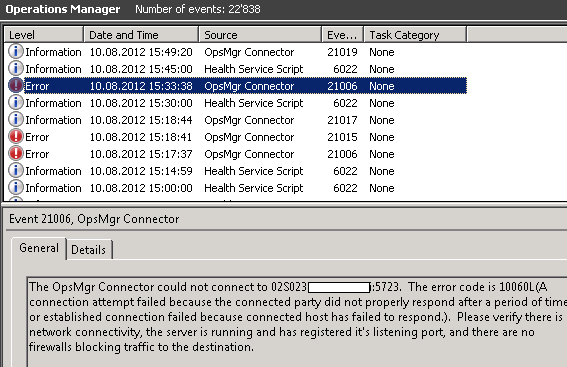 To see the agent failover I opened the servers event log and monitored the agents behavior.